Taking inspiration from Nobel Peace Prize laureate Professor Muhammad Yunus, the Good Group aims to showcase a different approach to doing business. We call it SOCIAL BUSINESS. Everything we do is oriented towards creating human value, for the long term. Financial value is simply a means to that goal. What is important to us is that people are at the heart of all we do, every day. We are a non-dividend company built on entrepreneurial spirit, and the belief that one day, all business should be social and give back to the communities they are in. We aim to set a good example, and we invite you to join us on this mission. The Good Group’s portfolio of Good Hotels is the current manifestation of Founder and CEO Marten Dresen's social business vision. Good Hotels are today a successful global lifestyle brand located in the world’s most exciting tourist destinations, creating a unique and premium hospitality experience with a cause. Good Hotels offer their guests beautiful service and stunning settings, alongside an inspiring story and exciting mission. All Good Hotels reinvest their profits to support social causes. Good Hotels reinvest their profits to support social causes. These include our NGO charity partner Niños de Guatemala, our bespoke in-house Good Training program, and our Global Good Foundation. 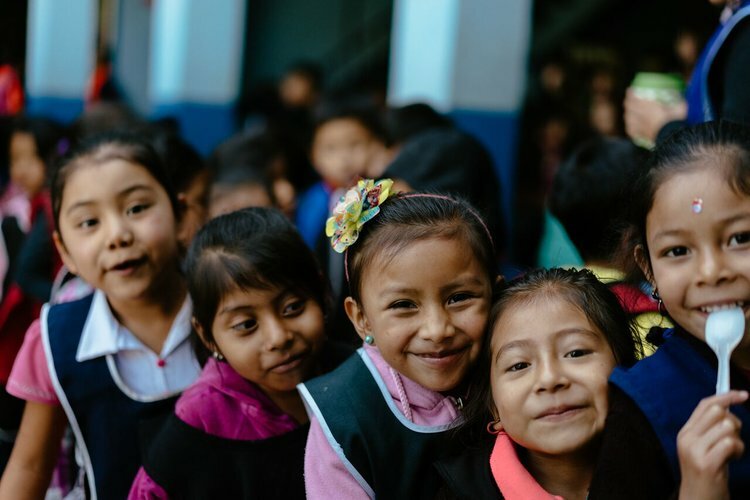 We invest in the education of over 500 children of low–income families living in and around the mountain villages of Antigua, Guatemala. Here, we partner with NGO Niños de Guatemala, which was founded by our founder Marten Dresen in 2006. Through our Global Good Foundation we aim to support and fund social causes around the world. We work towards giving every member of the Good Community a say on how and where to do this. In all we do, we make choices that are good for the body. Our comfy decor, our Vegetarian and Vegan friendly menu, our programming, our beautiful locations (to name a few!) - we always have physical wellbeing in mind. We are a planet conscious brand. We do not work against nature, we try to work with it. Where possible, we try to source fairly, locally, ethically, and sustainably. You wont find any plastic straws at our hotels. No T.V.s in our hotel rooms, open-plan Living Rooms, long tables, and sharing menus - we've created spaces to encourage people to connect. Conversation is the key to community. When we establish a new Good Hotel, we will do what we can to support local tradespeople. Where possible, ingredients, materials and labour are all locally sourced from small business owners and craftsmen. So when you choose to stay at a Good Hotel, you do not simply get a comfy bed and a great experience, you directly help us in our mission to re-build communities in need. We took a former Dutch accommodation barge and re-purposed, re-cycled, regenerated it into a spectacular, fun, living breathing hotel and community. After popping-up for a year in Good Hotel's hometown of Amsterdam, the floating platform continued its journey to London and now calls the historic Royal Victoria Docks its home. Think pure industrial design, unique waterfront location, communal living room and unique rooftop terrace – all with a view every Londoner would love to wake up with. This is where it all started. Marten was traveling in Guatemala, when he befriended a little girl with no shoes. The pair of shoes he gave her led to a life-changing moment for the both of them: the founding of the NGO Niños de Guatemala in 2006, and later the founding of the Good Hotel Group in 2012. Once a private mansion, now a unique boutique hotel featuring contemporary design in the heart of UNESCO-protected Antigua, Guatemala. The Good Hotel Group is planning to open another 5 properties by 2021. They might be another pop-up, converted mansion, industrial warehouse, or something completely different, but the components of a unique location, up-cycling real estate and the roll-out our charitable giving and Good Training will remain a constant wherever we go next.